Your best heart care begins at Penn Heart and Vascular at Chester County Hospital. No condition is considered too "high risk." Find a Location Find a Doctor Take Our Online Heart Risk Assessment! Patients with cardiovascular disease and their families rely on Penn Heart and Vascular at Chester County Hospital in West Chester, PA for local access to leading-edge heart and vascular care. No condition is too "high risk." We offer advanced care for a full spectrum of heart and vascular conditions, including arrhythmia, cardiomyopathy, coronary artery disease, congestive heart failure, heart disease, hypertension, vascular disease, and more - with seamless access to the renowned expertise of the Philadelphia region's best clinicians, researchers and educators. Our Heart and Vascular program offers residents of Chester County, PA and nearby communities the advanced technologies of a world-class cardiovascular center paired with the concern and responsiveness of a community hospital. As a national leader in basic science, research and clinical trials, Penn Heart and Vascular offers patients access to the latest treatment options before they are widely available elsewhere in the region. With a fully integrated approach to cardiovascular care and disease prevention, our clinical services include preventative and consultative programs, as well as diagnostic imaging and testing, drug therapy, heart assist devices, and surgical treatment options that can be found at only a few centers across the country. Expert cardiologists, cardiac and vascular surgeons and sub-specialists offer patient-centered care using the most advanced treatment options and therapies available. Because Penn's cardiovascular clinicians also teach the next generation of leaders, they are not only well-versed in the latest clinical practices today, but also are developing promising treatment options for tomorrow. Being among the nation's leaders in heart and vascular research, Penn participates in the latest clinical trials that are on the forefront of innovation. Penn Heart and Vascular at Chester County Hospital offers advanced care for a full spectrum of heart and vascular conditions, including arrhythmia, heart disease, vascular disease, and more. Chester County Hospital offers a full range of sophisticated diagnostic services to identify any issues that may be affecting your heart health. The cardiovascular surgeons at Chester County Hospital are among the region's best. They can provide a variety of options to surgically repair damaged hearts and vessels and get you back toward leading a healthy and productive life. Heart and Vascular Nurse Navigators at Chester County Hospital are available to educate, support and guide you through every aspect of your care and recovery. Chester County Hospital's comprehensive Cardiac Rehabilitation Program is designed to help patients with cardiac medical conditions recover faster, become stronger, and return to an independent, productive lifestyle. As an accredited Chest Pain Center, our goal at Chester County Hospital is to significantly reduce the mortality rate of patients by teaching the public to recognize and react to the early symptoms of a possible heart attack, reduce the time that it takes to receive treatment, and increase the accuracy and effectiveness of treatment. Cardiovascular disease is the leading cause of death among women in the United States. Learn how to keep your heart healthy and prevent heart disease. Do you have an irregular heartbeat? At Chester County Hospital, our team of cardiologists and electrophysiologists are skilled in treating difficult or persistent arrhythmias that are resistant to medication or have failed previous attempts at treatment. The Heart Valve Center at Chester County Hospital provides single-center access to interdisciplinary treatment for nearly every disorder affecting the cardiac valves at every stage of the disease. Our surgeons, cardiologists and specialists have been recognized for excellence in cardiac care. They focus on the prevention, prompt diagnosis and state-of-the-art treatment of heart disease. Articles and resources to help you become a better caretaker for your heart. View informative videos about cardiovascular topics featuring members of our Heart and Vascular team. 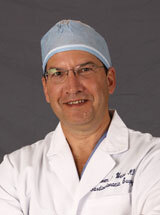 Dr. Steven Weiss has extensive experience in high-risk, off-pump and all-arterial conduit coronary bypass surgery. He has a special interest in valve repair and minimally invasive cardiac surgery. He is focused on patient safety science and improving the detection and delivery of care to cardiac valve disease patients. Dr. Weiss has more than 25 years of clinical cardiac surgery experience most recently as director of cardiothoracic surgery at Mercy Fitzgerald Hospital. He received his medical degree from the Medical College of Pennsylvania and his MBA from the Wharton School of the University of Pennsylvania. Dr. Weiss completed a general surgery residency at Presbyterian Medical Center, cardiothoracic surgery residency at SUNY Downstate Medical Center and chief residency at the University of Maryland Health System. He went on to complete a fellowship at Cleveland Clinic. Dr. Weiss is board certified in thoracic and cardiac surgery and is a fellow of the American College of Surgeons, American College of Cardiology and American College of Chest Physicians. This comprehensive cardiovascular screening includes cholesterol and HDL testing, blood pressure, BMI, body fat percentage testing and more.